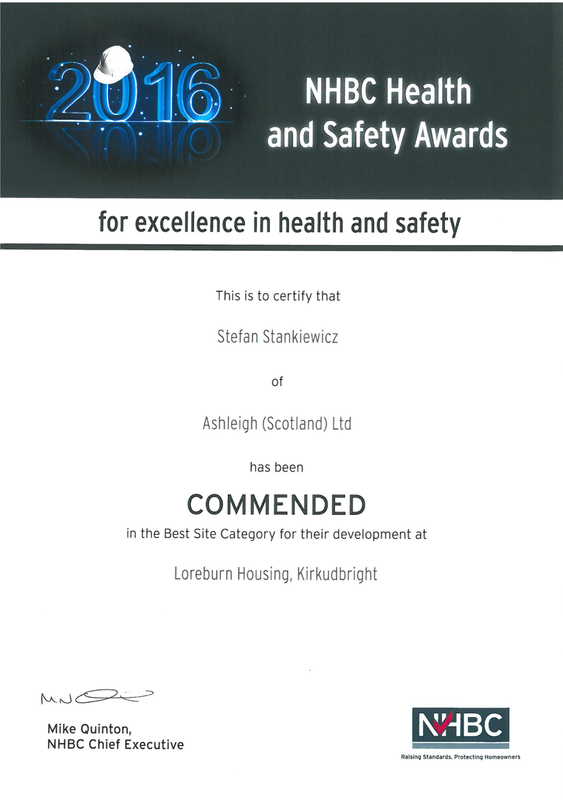 Well done to our Project Manager, Stefan Stankiewicz who has been commended for excellence in health and safety for our housing development, for Loreburn HA in Kirkcudbright. We will be attending the NHBC Awards next Friday and fingers crossed for a good result! !